Was it Abraham Lincoln who said "…but you cannot fool all the people all of the time"? 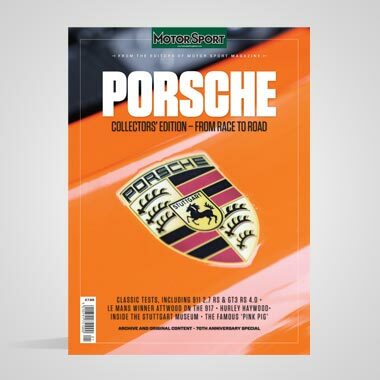 What you certainly cannot do is fool the readers of Motor Sport. 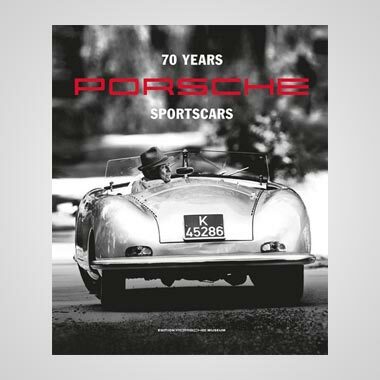 My article about fake historic cars and similar things in the February Motor Sport produced such an instant response that one builder of "copies" was on the telephone before I had even opened my February issue. (He had not only opened his, but had read it closely!) He was pointing out to me that the four "copies" he built all had their chassis frames stamped with his initials and a number and he sold them as such. This is perfectly true and as I have known him for many years and discussed his cars with him at great length, even before he actually assembled his first one, there have never been any questions regarding the cars he built, using some original parts and many genuine spares. 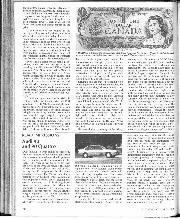 However, I have always told him that in my view a car assembled from the spare parts accumulated by owners of original cars will never be anything more than a special built from spares, indeed a true "bitza" and its intrinsic value can never be more than the sum total of the spare parts used, plus labour charges, to which he always agreed. Now he can do nothing about the customer who takes his "spare-part special" away, thumbs through the history books, finds an original car that has "disappeared" and puts its identity on the "spare-part special" and carefully words an advertisement that suggests, but does not actually say as much, that the "real thing" is for sale (at three or four times what the "spare-part special” cost originally). This has happened with one of my friend's fake cars and he is Justifiably very incensed about it, but he must admit that I warned him it would happen, as did many other people. Telephone calls, post-cards, brief notes, long letters and private discussion have followed that February article, all from readers who basically agree with what I said, but not a word from those who have built "fakes", apart from third-hand murmurings of discontent. A Bugatti owner in the north of England wrote briefly to say "wonderful article, how can anyone not understand or not agree — unless they have a vested interest in so doing…" Another reader from Essex wrote at great length about "…the car faking industry. You are absolutely right — we've got to watch those People who try to pass off a replica as the real thing, especially now that so much money is at stake. That's the root of the Problem of course. . ." He went on to say that the one-make club of which he is a member [a very respected club it is too — D.S.J.] keep very detailed records of all their cars, even to listing two replicas because the creators of these cars are not trying to claim they are anything other than re-creations. 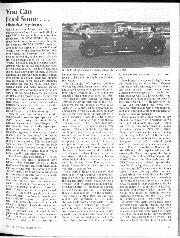 On the subject of "replicas" Andrew Whyte, who writes Jaguar history books and has detailed records of all genuine C and D type Jaguars, wrote to say "The Aldingtons (makers of the Frazer Nash cars from 19291977) used the term "Replica" correctly in 1950 when, having seen one of their first definitive post-war models do well at Le Mans in 1949, they called subsequent examples Frazer Nash Le Mans Replica. They were great wordsmiths in their advertisements [actually it was the elder brother W. H. (Bill) Aldington who wrote the advertising prose — D.S. J. ], they must have used Chambers' Dictionary which says: replica, rep'li-ka, a duplicate, properly one by the original artist: a facsimile: a repeat (music). (It, — L. replicire, to repeat)." Andrew Whyte went on to say that he is compiling his second volume of Jaguar competition history, which will list every D. type Jaguar and he will be concentrating on the cars as built and raced in their early life and include modern history where he considers it authentic or interesting, but not where he is in doubt about the nature of a car in its old age. 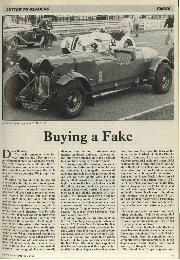 If your D-type Jaguar is not in Andrew Whyte's new book you can consider it a genuine fake! Fake Bugattis are now such a big business that certain sections of the Bugatti Owners Club are actually encouraging and condoning their building, these people being described by one reader as "…replica and him cowboys who have jockeyed their way into positions of high profile and influence in the Bugatti world..." He goes on to say "Have you considered the worst consequence: that anyone with a compromised car has an interest in diluting the integrity of the rare remaining originals." Some readers have been heard to say (though not directly or in writing) "If we were not all purists like D.S.J. there wouldn't be any cars racing at VSCC Silverstone meetings". Now that is something I don't understand, for at any VSCC race meeting at least 50% of the entry are "specials" and in my book there is nothing wrong with a "special". I really like good ones, but I hate bad ones or unimaginative ones. 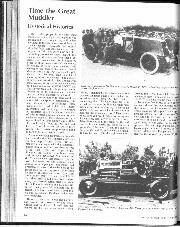 The Barnato-Hassan Bentley, the Multi-Union, the Appleton-Riley, the Cognac, the Becke Powerplus, the Attenborough, the Gillow Riley-Bugatti, the Norris Special, the Bentley-Napier, the ERA-Deluge are all splendid specials that keep VSCC racing alive, and almost every sports car in VSCC events is modified into a special. Some time ago when post-war Grand Prix cars were a bit thin on the VSCC ground one member who had a workshop full of bits and pieces offered to assemble a BRM-Maserati to help swell the grids; he had an engine-less 250F and a chassis-less 2½-litre four-cylinder BRM engine. It would have made an exciting post-war single-seater special, hut the VSCC committee turned it down — a pity really! 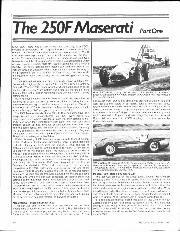 A letter from Alain de Cadenet made interesting and sensible reading regarding racing old racing cars. He said: "Not so very long ago, one bought and raced a no longer current racing machine for the very simple fact that it was cheaper than a new one. The price of a Jaguar 'C' or a 'D' or a Lotus in the mid-'50s explains why an ERA was so popular at under £1,000 ready (more or less) to race. 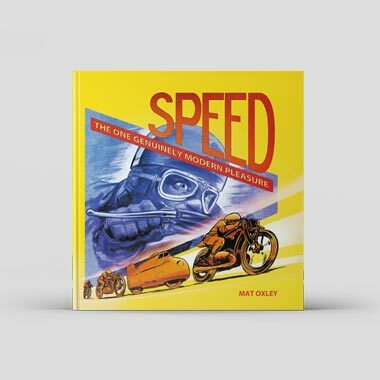 Today the converse is true, but with the proviso that the great fun that was to be had from racing in the real thing has now been watered down to such an extent that fewer and fewer real things appear on the grids. "It is very easy to get excited by the nostalgia of bygone racing times, and to be able to drive a machine today that is very much the same axis was when it was new, is in my opinion, one of the great joys of being able to drive at all. Replacing a few bits and pieces that have worn out, or changing fatigued parts with something benefiting from modern technology is one thing, but the wholesale manufacturing of complete cars from scratch mystifies me completely. "Even if it is a commercially viable proposition, what real joy can there be in parading in a 1985 Maserati 250F or Tipo B monoposto Alfa? Why bother to fit a Maserati engine, why not use a four-litre Aston Martin engine, which would be cheaper and more available. Why not just a 250F lookalike with cheap internals and suspension? After all, who is going to tell the difference from the pits? Are we here to put on a show for the public or are we here as the current custodians of original machinery for posterity?" I could not agree more with Alain de Cadenet. When he let me drive his 1934 monoposto Tipo B Alfa Romeo (which some people call a P3) I cannot begin to tell you the inward satisfaction I got from actually being in the car of my boyhood dreams with that beautiful supercharged straight-eight engine at the control of my right foot. That was the real thing. If Rodney Felton ever lets me drive his fake monoposto I can't imagine it will give me much satisfaction. When I drove a Formula One Renault Turbo a couple of years ago it wasn't the fantastic acceleration, speed, noise or feeling that thrilled me, it was being in a factory Grand Prix car when it was in use by the works team that gave me the greatest satisfaction. In 10 years or 15 years time when they are third or fourth hand club racers it won't be quite the same. Driving a fake car that is pretending to be something it isn't (or to be more precise, the owner is pretending) doesn't interest me, but I do enjoy driving someone's special and have actually raced a couple of them in VSCC racing. One was a 4½-litre Lagonda built on the lines of the Fox and Nicholl Ulster TT and Le Mans cars of 1934 / '35. It wasn't a copy because the engine was the later LG model and the chassis was a 4½ litre "long" and not a 3½-litre "short" as used on the original team cars. In the halflight and across a field you might have mistaken it for a team car, but the owner was quite honest about it. He said: "This isn't a Replica, it's a genuine fake". It went very well. We were all due to meet up on the Friday evening at a pub before the VSCC Silver stone meeting and I got there first, travelling up from the south. 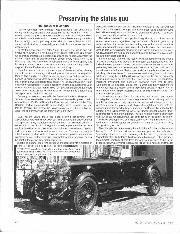 Herb Schofield was bringing the 4½ Lagonda down from the north in company with two friends also in 4½-litre Lagonda specials. Suddenly the pub yard was filled with noise as these three great cars swirled in, to stop with triumphant "blips" on the throttle pedals. 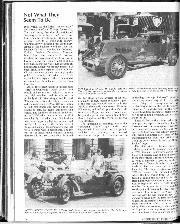 They had finished their 200 mile run with a fine "dice" down the A5 and I really envied them for I could see that all three were highly elated with the way their cars had performed and had really enjoyed their motoring in close company. Old car motoring at its best, and the Saturday racing round the Silverstone Club circuit was tame by comparison. The tone of the meeting was summed up beautifully at scrutineering. I opened the bonnet of the Lagonda for the scrutineer to have a look-see and noticed that Herb had fastened an empty McEwens beer tin as a catch tank for the engine breather. The scrutineer took one look and said: "Shut the bonnet quick, and keep it shut, we are not supposed to allow advertising on vintage cars". — D.S.J.